In general, Firefox and Safari are favorite browsers of designer, however Internet Explorer and Opera are many people use for their design work, because it hass integrated into the operating system or simply just because they like to use it. In a previous article I talk about The Essential Firefox Add-ons for Web Designers, this article continues to mention for the content on the browser of Microsoft Internet Explorer. 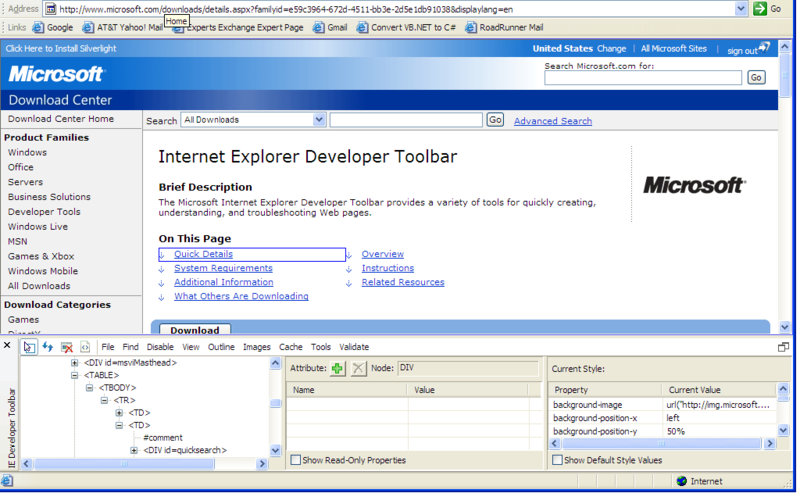 Firefox has Firebug and webdeveloper to fire out all the bug in Mozilla, IE has developer toolbar! This toolbar created by Microsoft and gives most of the ability of both Firebug and webdeveloper but not all of it. 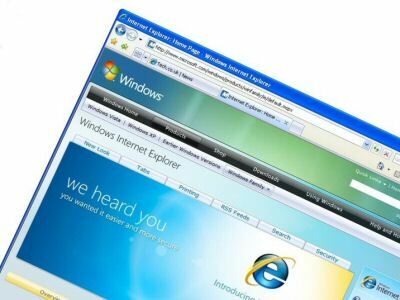 Internet Explorer Developer Toolbar (sometimes shortened to IE Developer Toolbar or even IE DevBar), is an add-on for Internet Explorer 6 and Internet Explorer 7 that aims to aid in design and debugging of web pages. It allows validating of CSS and HTML, previewing page layout at various resolutions, and offers a ruler (measuring in pixels) to aid in positioning the elements. It allows viewing the source of the entire page, color coded for ease of navigation, or selected elements of it, as well as view the DOM source and the CSS selectors that are applied to the element. It also enables viewing the properties and styles of each element and trace styles of elements to its declaration. Fiddler is a Web Debugging Proxy which logs all HTTP(S) traffic between your computer and the Internet. Fiddler allows you to inspect all HTTP(S) traffic, set break points, and “fiddle” with incoming or outgoing data. Fiddler includes a powerful event-based scripting subsystem, and can be extended using any .NET language. Web Development Helper is a free browser extension for Internet Explorer that provides a set of tools and utilities for the Web developer, esp. Ajax and ASP.NET developers. 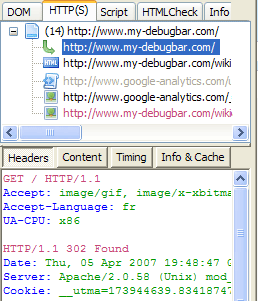 The tool provides features such as a DOM inspector, an HTTP tracing tool, and script diagnostics and immediate window. 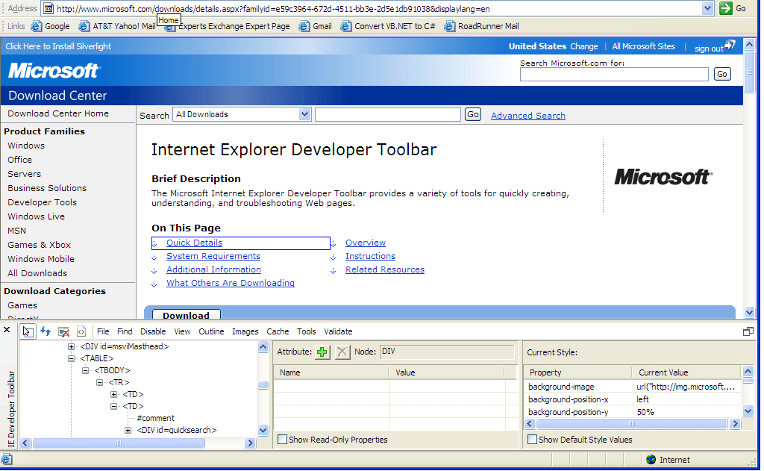 Web Development Helper works against IE6+, and requires the .NET Framework 2.0 or greater to installed on the machine. Once installed, the tool is activated using the Tools | Web Development Helper command. You can also customize your browser’s toolbar to add a button for this command to facilitate frequent use. 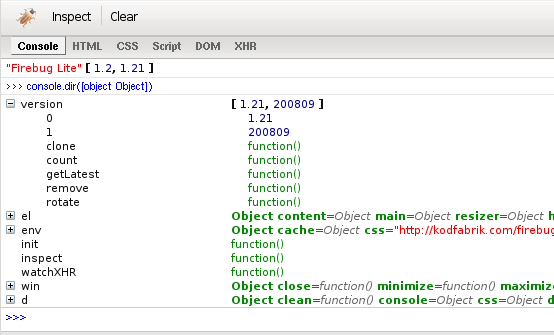 Clicking on the menu command or browser button brings up the tool’s console window and set of commands. The toolbar has many functions that identify and display specific aspects of a web pages’ code and/or content, either by inserting information into the current page or displaying information about the page in a new window These are designed to help identify the use, misuse or absence of particular HTML markup and presentational properties (CSS) that can affect the accessibility of the page. 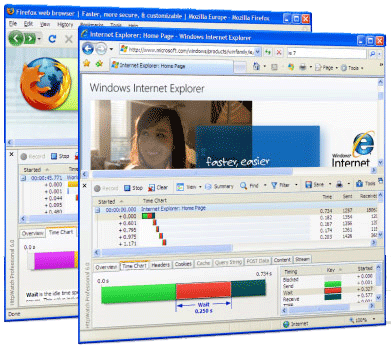 HttpWatch is an HTTP viewer and debugger that integrates with IE and Firefox to provide seamless HTTP and HTTPS monitoring without leaving the browser window. Firebug is an extension for Firefox, but what happens when you need to test your pages in Internet Explorer, Opera, and Safari? Firebug Lite creates the variable “firebug” and doesn’t affect or interfere with HTML elements that aren’t created by itself. Have you ever use one of the Internet Explorer extensions above here? Do you know of an extension any other? Share experiences here with us to know the same people. Very nice article keep it up!